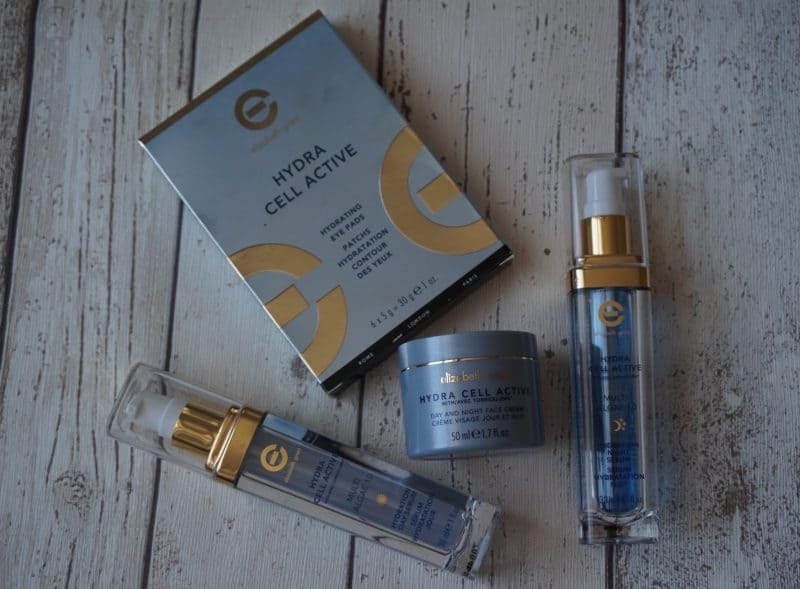 I’ve been using the Hydra Cell Active range from Elizabeth Grant for almost four weeks now, and so far so good! My skin is on the dry side, but can get a little oily especially in warm weather. My previous skincare routine was to use a little facial oil every couple of days and moisturise in the evenings when I remembered. It was a little hard to remember to do the new products but they’re making a difference to my skin! I’ve been using the day serum after washing my face in the morning, and the night one at night (well, obviously) after I’ve taken my makeup off and cleansed my face (with a face wipe normally, I’m pretty lazy!) and then add a thin layer of the moisturiser. 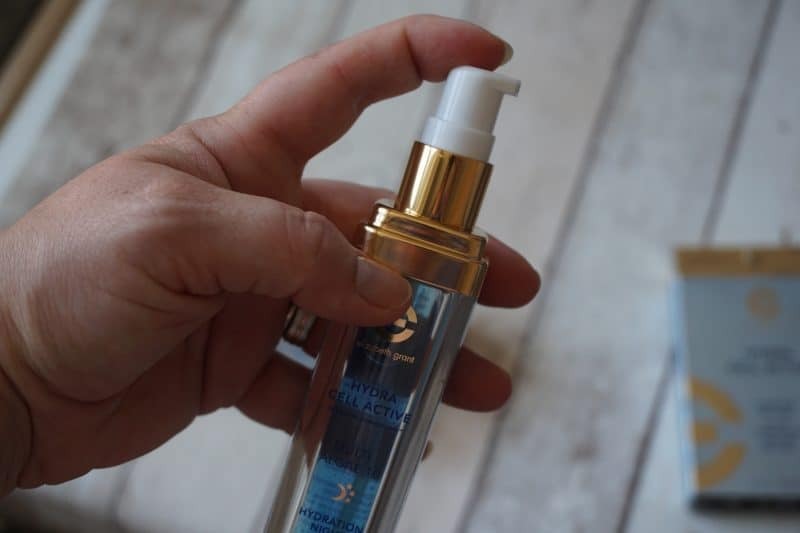 It’s actually a day and night face cream, with a gorgeous smell and a creamy consistency that’s not too thick, it can of course be used morning and evening but I prefer to just use it at night to ‘lock in’ the serum. 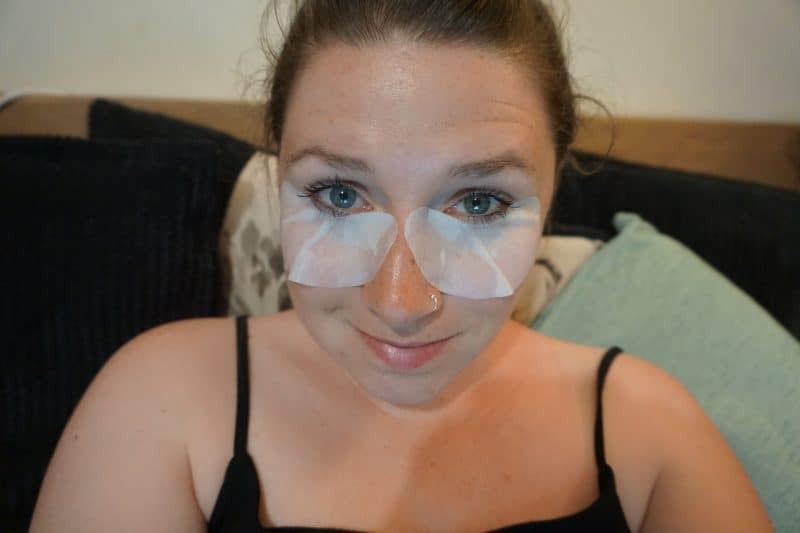 My favorite item in the range are the hydrating eye pads – contoured to fit just under the eyes you keep them on for fifteen minutes and they work wonders are rejuvenating tired saggy eye bags and plump everything up again! They also mean I have to sit and do nothing for fifteen minutes, so I’ve been catching up on my podcasts when I used them, win win! 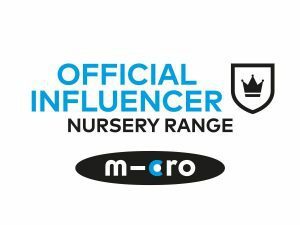 I’ve been using them once a week or so, and they’ve have they helped after the past few days where at worst I got about 3.5 hours of sleep due to a poorly kid! So after using the range for around a month I can definitely feel a difference in the dry patches round my chin and nose, they’re nowhere near as dry as they were before! I also used to have slightly dry patches in some places on my cheeks and they’ve gone completely. I was worried that using serums might mean my skin went the other way and veered into too oily territory but needn’t have worried at all, it does of course feel a but greasy when first applied but my thirsty skin soon soaks in the serum and I’m not left with an oily layer! The packaging looks sleek and the pumps haven’t got clogged up at all. I found the eye masks a little hard to peel apart from each other – at first I thought there was just one in the packet but son worked it out. You can view the full Elizabeth Grant range on the Ideal World website. I was sent this range in exchange for an honest review. Next Post Sunday Scrapbook – Lonely, Beaches & the War. Ooooo! This sounds really good. My skin keep saying breaking out it’s driving me nutty. Oh this does sound good – wonder if it would work for eczema type dryness? My mum actually has been using Elizabeth Grant products for years and she passed them on to me. They are brilliant.